continue to proliferate on social media. Indeed, they are often shared more than real news is. 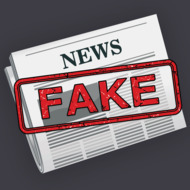 Use this guide to help identify the difference between a fake and a real news story.